At James River Advisors, we believe you deserve complete transparency regarding the true costs you will incur. This transparency is essential to build the trust that is necessary between a client and an advisor. We provide full disclosure with the goal of making all fees crystal clear. Only then can you know exactly what you are paying. When you work with James River Advisors, you will be partnering with a fee only financial planner. No one likes to feel that each contact with your advisor may result in a surprise bill. That is completely counterproductive to your financial well-being, so we made our service fees all-inclusive. With a fee only financial planner, you know exactly what you’ll pay and more importantly, you can call us whenever you need us without fearing extra charges. We view financial planning as integral, so this is all included with your investment management. You won’t get an extra bill for creation or updating of your financial plan when we’re handling your investments. This way, you will get the comprehensive ongoing planning you need to define your path and achieve your goals. We bill you in arrears, meaning we get paid only after we provide the service to you…not before. Also, you can choose to terminate our services at any time and we prorate our fee through the date you choose to do that. We charge you one simple asset-based fee. Asset-based fees help align our mutual interests, since as your account grows, we grow as well. When you work with a fee only financial planner, you can trust that your advisor is working with your best interests in mind. We do not profit from making trades, only the growth of our clients’ accounts. 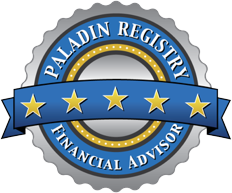 Interested in a second opinion on your finances? Get a complimentary financial review to find out if you’re on track to achieve your financial goals.